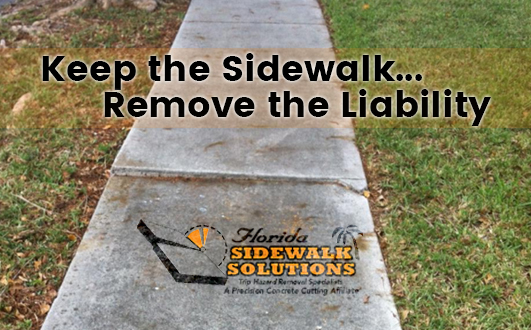 An uneven sidewalk is hazardous to anyone traveling the damaged walkway. 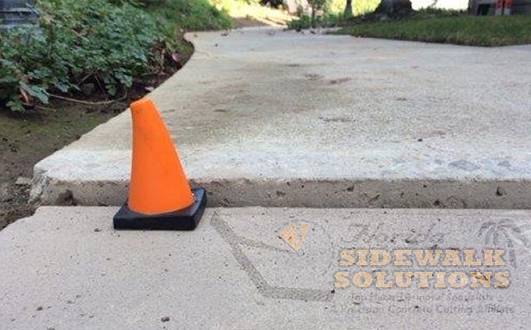 Whether it’s a residential, commercial, or small business property, an uneven sidewalk repair saves everyone from the potential harm all trip hazards can cause. 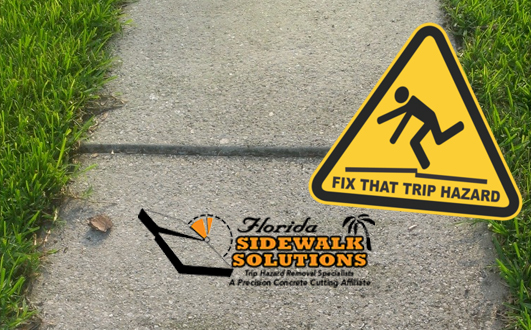 The thing about damaged or uneven concrete sidewalks is that the smallest raised crack can become a trip hazard to anyone. 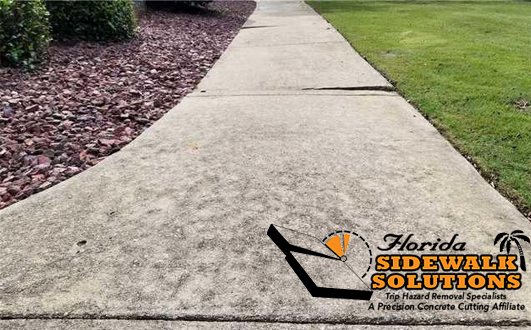 Contracting an uneven sidewalk repair service or trip hazard removal specialist will not only make uneven concrete sidewalks safer, it can actually improve the overall value and appearance for the entire area. 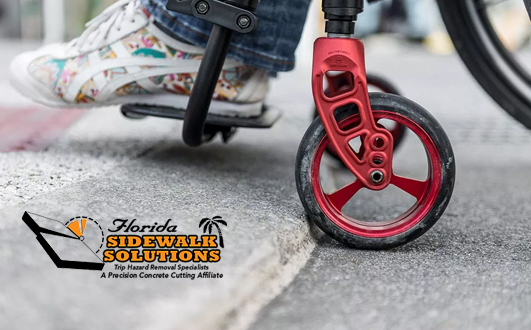 Whether it’s because of ADA compliance, aesthetics, or general safety, there’s one clear fact about repairing an uneven sidewalk – there’s no option that is more efficient than the sidewalk repair specialists who use a precision cutting method. 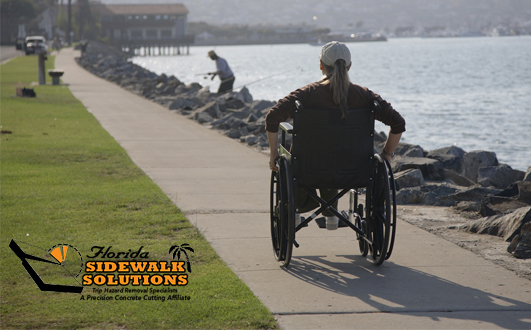 Trying to repair a damaged and uneven concrete walkway with concrete filling, concrete replacements, or by using grinders or scabblers can result in costly future repairs that still don’t truly level the path as evenly as expected. Fortunately, there are trip hazard specialists that specialize in using the precision cutting technique to ensure the best results are attained and sustained over time. 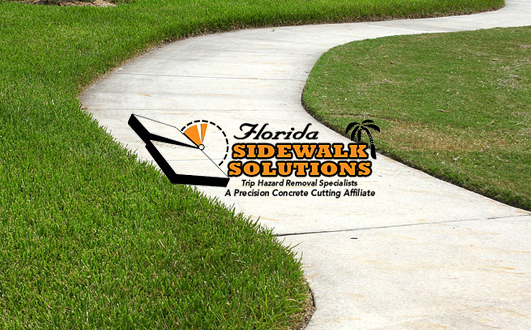 Precision concrete cutting is a patented method that used the latest technology to achieve superior, lasting results. 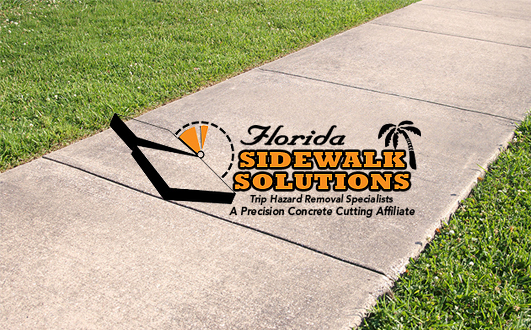 Not only is the precision concrete cutting technique more effective than traditional sidewalk repair methods; it actually is less expensive than renting concrete repair equipment to get the job done. 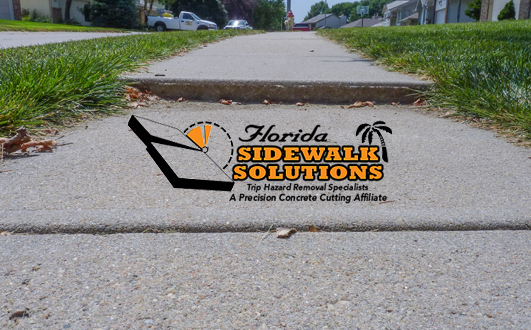 Precision concrete cutting uses a horizontal saw cutting method that fully tapers the entirety of concrete sidewalk offsets, eliminating problems like uneven corners or slightly unlevel steps. This is especially useful when an uneven sidewalk repair is needed to create ADA compliant slopes to make it easier for anyone that needs a fully flush concrete sidewalk to travel on comfortable. 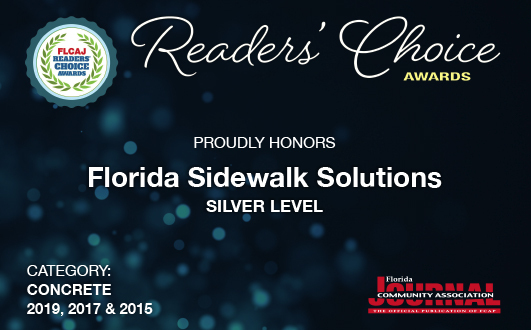 Florida Sidewalk Solutions offers an uneven sidewalk repair service with guaranteed results because, to us, everyone deserves to expect the best. 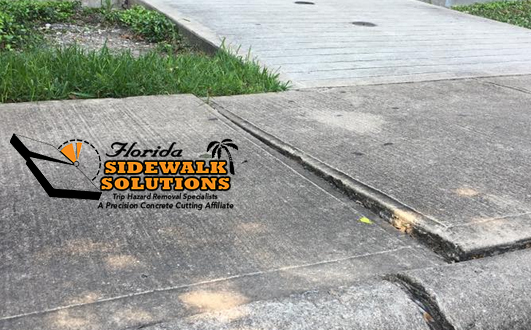 We are able to confidently guarantee results since we understand just how significant the difference is between performing an uneven sidewalk repair with this method is versus traditional techniques. 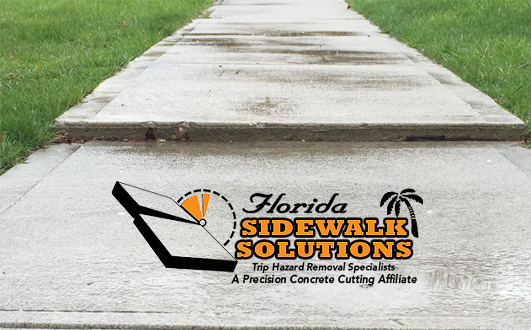 If you are located anywhere in Florida and are in need of an expert trip hazard specialist to help repair an uneven concrete walkway, contact our team for help. 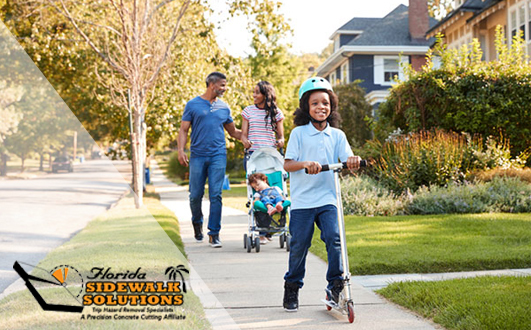 We provide free consultations and would be more than happy to explain how we can get the uneven sidewalk repair done perfectly, on time and for less.